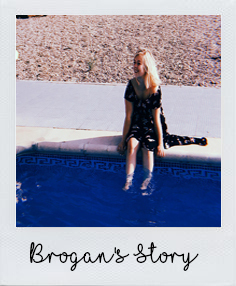 BROGAN NUGENT: MY MENTAL HEALTH STORY. My mental health was triggered when I was 15, and my parents separated. There was a lot of secrets involved that I wasn’t allowed to say to anyone, and it really messed with my head. I was paranoid, I was constantly at a low, and constantly on the verge of either tears or screaming. This lasted for a year and then everything seemed to fizz down a bit. When I turned 18, my coping mechanism was alcohol. I’d drink so much until I blacked out, and wouldn’t remember anything the next day. The stories I used to hear, from my family the next day, made me think I’m a whole new person. This lasted for a while. I felt quite low, thanks to just finishing College and not having a job. I found it quite difficult not having some sort of routine. My actual mental journey started properly when I was 22. I’d have episodes of depression, where I felt numb constantly, I’d avoid conversations with friends and family, and I’d lock myself in my room. My parents were getting worried and I couldn’t explain what was wrong with me. I’d go to a job I hated, do the job emotionless, come home and then repeat. There were nights where I’d wake up with the feeling that my bones were shaking. I wasn’t cold, but my insides were. It’d take me an hour to warm myself up, calm my head, and then sleep. I googled what it was, as it happened quite a few times one week. And then realised, waking up to the feeling that your bones are shivering; is a sign of anxiety. Now that I knew what it was, it all made sense. I always had an inkling that I had depression and anxiety, but nobody quite believed me. My mum and dad - even to this day - will sweep it under the carpet and refuse that my diagnosis is actually a mental health issue. I went to the doctors and had an assessment. She confirmed that I was suffering with mild depression and anxiety. And then she prescribed me with some anti-depressants. This wasn’t something that worked with me. People told me it would take a week for them to kick in, but they kicked in instantly. I suffered terrible insomnia the next few nights, I was constantly hungry, and always felt drained. I didn’t look right, and didn’t feel like myself. It was almost like I could feel the tablets sucking away at the person I am. By the third day, I’d had enough. I got home, pulled them out of my bag and passed them at my mum. “Throw them, burn them, flush them down the toilet. I cannot cope with these anymore! They’re messing with my head!” Were the exact words I said that Friday in March last year. She threw them away and I never went back to them. I find that whenever I can feel a wave of anxiety or depression hitting me, exercise works well for me. The endorphins that leave your body and make you feel lighter and happier. I thought it was a load of rubbish, but it’s true. I had a low, depressive episode a few weeks ago. My dad asked once, and I lied and said I was fine. I felt exhausted, drained. Just basically sick of putting on a phase that I’m fine. And I got to the gym class, he walked over to me and said, “okay what’s wrong? Your face looks really different. You look exhausted.” So I explained my mental health was acting up and I felt really low. After the class, I felt so much better. For me, coping with my mental health is by listening to my body. The older I get, the more aware I feel and know what I need. I know exercise is good for me. And when I’m drinking and feel the feeling of, “I just want to Black Out” coming close, I will stand up, pour out the wine, and sleep. Let my body recharge overnight. Hey! Nice Post. It is good to share the experience. Mental illness is quite complex compare to physical illness. Only one can understand it who has experience this horrible state of mind. I have been passed through the same condition as you told. Thanks God, I met a Psychotherapist In Hammersmith. Finally, I am good now.